Ira Sluyterman van Langeweyde, or as the internet knows her, Iraville, is the star of this month’s Papergang box! With her nature filled illustrations bringing the box to life, we have a forest themed wallpaper for you to download! 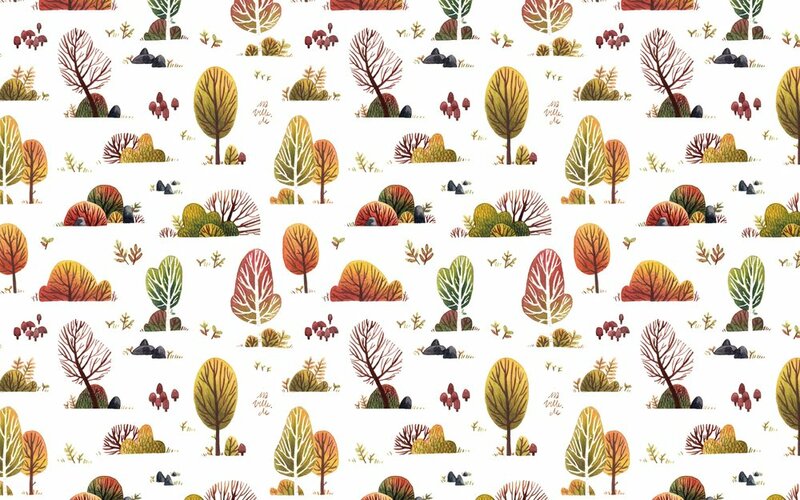 Want to see this pattern and more of Ira's illustrations on some paper goodness? Sign up at papergang.com to get some stationery delights delivered to your door! The box's main pattern is now available to download as a wallpaper! Simply click the button below and download the wallpaper when it opens in a new tab. Don’t forget to tag us in photos of your lovely new backgrounds using #papergang. Fancy a treat? Want to bring a new lease-of-life into your stationery collection? Work desk looking pretty dull? Subscribe to the Papergang or simply learn more here. August's box has been illustrated by Iraville! Filled with little snippets into her creative life, take a look into Iraville's day below!